Hot on the heels of its bold “Times Square” proposal for Taiwan’s capital, MVRDV has broken ground on another project — this time for the island’s southern city of Tainan. 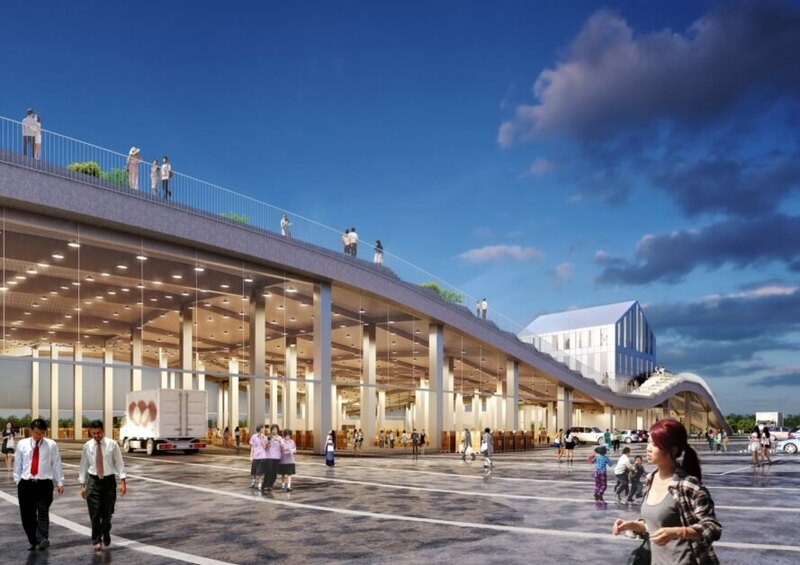 Created in collaboration with local architectural firm LLJ Architects, the Tainan Xinhua Fruit and Vegetable Market is a wholesale, open-air market that will not only serve as an important hub for the city’s food supply chain, but will also serve as a new public destination. The landmark building will be topped with an undulating green roof that will be accessible to the public and used for growing crops. Because of its large size, the Tainan Xinhua Fruit and Vegetable Market will be located in a suburban district to the far east of the city center yet strategically placed near Highway 3 and public transportation links for the convenience of traders, buyers and visitors. Spanning an area of nearly 20 acres, the market will include space for auctions, logistics, freezer storage, service facilities, a restaurant, administrative offices and more. 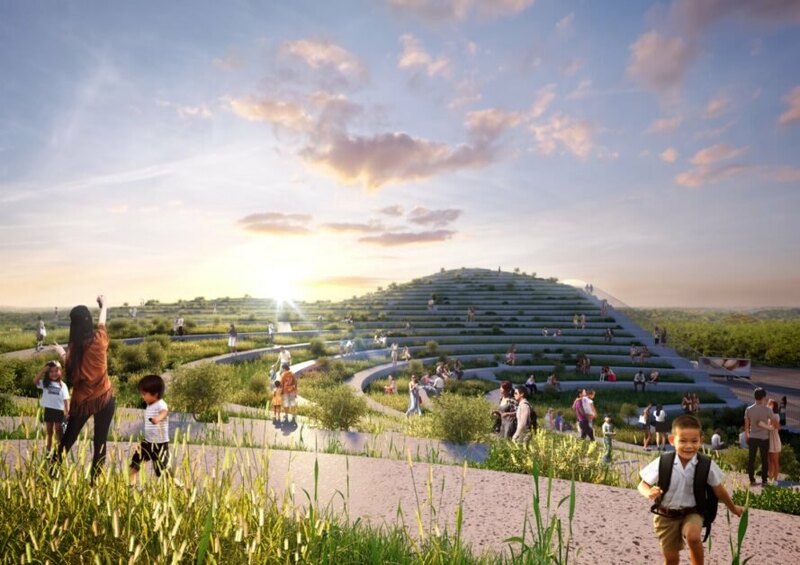 The first phase of the development will be an open-air structure topped with an undulating, terraced green roof accessible from the eastern corner. The terraces of the roof will each be dedicated to growing a different crop — such as pineapples, rice, roses and tea — and will be furnished with benches and picnic tables for visitors to enjoy the surrounding views. The market is slated for completion in late 2020. MVRDV and LLJ Architects collaborated on the Tainan Xinhua Fruit and Vegetable Market for Tainan, Taiwan. The wholesale, open-air market will both boost the city's food supply chain and serve as a new public destination. The market will sit near Highway 3 and public transit. 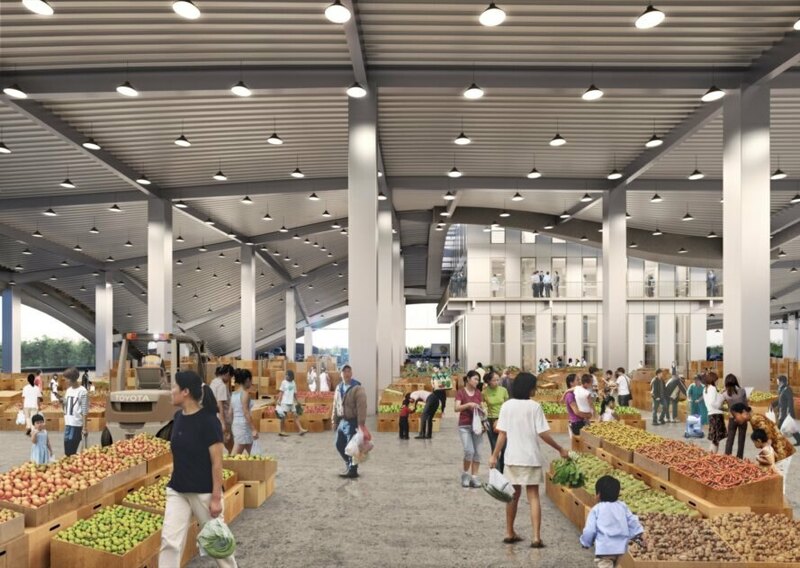 Tainan Xinhua Fruit and Vegetable Market is slated for completion in late 2020.